For Italian nationals, an E2 visa offers an opportunity to secure a U.S. visa by making a substantial investment in a commercial enterprise or business. As part of the visa process, the investor will be required to enter the United States to direct and develop this enterprise, and may also bring dependents (spouse and unmarried children under the age of 21) with them as well. Because Italy has a valid commerce and navigation treaty with the United States, Italian nationals are eligible to obtain E2 visas. This type of investor visa has many advantages, including the ability to extend the visa indefinitely as long as the business remains in operation. The experienced E2 visa lawyers of Colombo & Hurd have helped countless investors receive E2 visas. Read on to learn more about the E2 visa process in Rome, including the steps that Italians must take in order to qualify for this visa. E2 visas are a type of investor visa available to real or corporate persons who make a “substantial” investment in a business or commercial enterprise in the United States. In order to meet the standards for an E2 visa, the investment must be enough to ensure that the business will be successful. While there is no minimum level of investment that must be made to obtain an E2 investor visa, it must be at least enough to develop the business so that it can conduct operations. This investment cannot be a speculative or idle investment, such as in real estate. The investor must have control of the funds and put the funds at risk when applying for an E2 visa. Additionally, the investment must be in a real, non-marginal operating enterprise. In other words, the business must generate enough profit to do more than simply provide a living for the investor and his or her family. An experienced E2 visa lawyer, such as the attorneys of Colombo & Hurd, can assist prospective Italian E2 visa applicants with developing a business plan to demonstrate to the consulate that the proposed business is real, non-marginal and that it will lead to a significant profit. Italian nationals who apply for an E2 visa must come to the United States to develop and direct the enterprise or business. If an applicant is not the principal investor, he or she can obtain an E2 visa as a supervisor, executive or highly specialized skilled employee. For employees applying for E2 visas in Rome, the process is often quicker if the employer is a “vetted company.” The U.S. Embassy in Rome maintains a list of E Visa enterprises, available here, that have already been cleared. The Embassy does not accept applications or requests to be added to the list of E Visa enterprises. 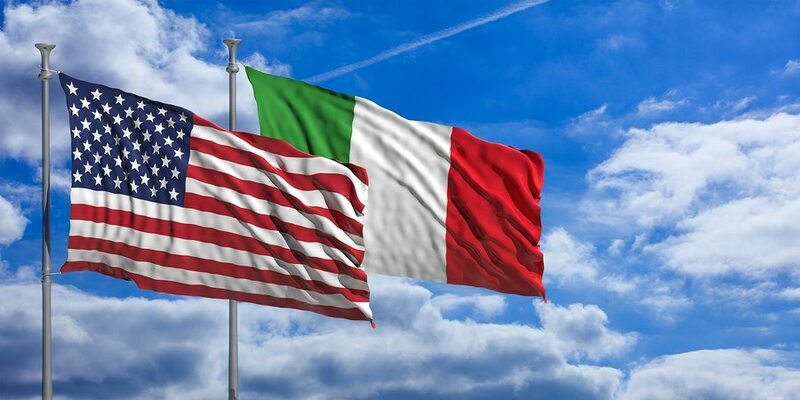 For Italian nationals, all E2 visas are processed through the U.S. consulate in Rome. All applicants must complete the required immigration forms, register with the online immigration system, and pay the required fees. For E2 visas, Rome only accepts electronic submission of applications and supporting documentation, including information on the applicant(s), ownership of the business, the investment, that the business is real and operating, and that the business is not marginal. A skilled E2 visa lawyer can help to ensure that the application and supporting documentation is properly submitted. After an application has been received, the U.S. Consulate in Rome will either confirm receipt or will return the application if it is incomplete or incorrectly formatted. If it is accepted, then the Consulate will schedule an interview. An advantage of processing an E2 visa in Rome is that the adjudicators are generally experienced and thorough, making the process relatively straightforward for well-qualified applications. However, because all E2 visas for Italian nationals are processed through Rome, it has one of the longest wait times in Europe. It can often take up to (or longer than) 3 months to obtain an appointment for an interview. If approved, an E2 visa can be issued to an Italian national for an initial period of up to 5 years. After the initial entry, a holder of an E2 visa can extend his or her visa for as long as the E2 status is maintained. There is no limit on renewals for E2 visas for Italian nationals. At Colombo & Hurd, we have a lengthy track record of successfully representing investors and employees alike in obtaining E2 visas. We have worked extensively with the U.S. Consulate in Rome, and understand the intricacies of filing an application with this office. If you are an Italian national considering an E2 visa, contact us online, or contact our Orlando office at (407) 478-1111 or our Miami office at (305) 455-0590 to schedule an initial consultation.